Liverpool just about managed to get the better of Swansea at Anfield on Sunday as Jürgen Klopp had to settle for a penalty to give his side all three points. It proved to be a fruitful weekend for the Reds though who capitalised as some of the big boys dropped points. There was no Coutinho or Lucas for Liverpool but positively both Daniel Sturridge and Jordan Henderson appeared on the bench. The game began with a minutes applause for Gerry Byrne who sadly passed this week. The first half although not exactly brilliant did fall into the Reds' hands. An initial break into the box from Jordan Ibe almost ended in a goal after Bartley nearly turned the ball into the back of his own net. Liverpool welcome Swansea onto the Anfield turf on Sunday afternoon as Jurgen Klopp looks to start a run of form at L4. Fixtures away from home have been somewhat kinder to the Reds of late and injury woes may put a spanner in the works for the boss. The news filtering through that Daniel Sturridge may have played a greater role in the decision to not feature against Bordeaux has left some fans questions his loyalty to the team. I personally think that after the issues Sturridge has had throughout his career it's a psychological barrier for him, what somebody else would brush off as nothing, he takes dead serious and you can't really blame him for that. Clearly, he needs to change his mind set but hopefully under the guidance of Klopp he can do that and will return to the field sooner rather than later. 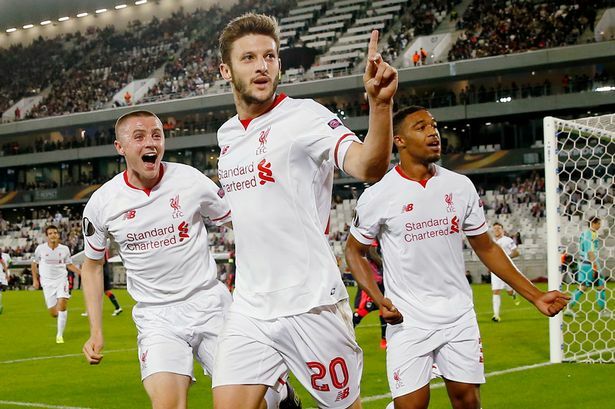 After a somewhat bizarre opening goal from visitors Bordeaux, the Reds managed to seal victory at Anfield on Thursday evening and have secured their place in the last 32 of the Europa League in the process. The evening opened with bad news though after it filtered through that Daniel Sturridge would be sent for a scan on a foot injury in the morning. The first half for Liverpool didn't get off to a magnificent start when a lapse in concentration from Simon Mignolet led to a very questionable headed clearance. Luckily Kolo Toure was around to help clean up the mess and the visitors failed to capitalise on the situation. Christian Benteke had a brilliant game which began with a strike at the side netting, quickly followed by a goal that was ruled offside. The forward was unlucky, mistiming his run slightly but the link up play between himself and the likes of Ibe, Milner and Firmino meant he'd surely get on the scoresheet. After beating Manchester City 4-1 at the weekend, Jurgen Klopp's side are brimming with confidence and will surely fancy their chances against Bordeaux at Anfield on Thursday night. The Europa League is labelled as a bit of a nuisance by many but Klopp strikes me as a man after my own heart; if there's silverware at stake, I'm chasing it. Injuries for Liverpool mean the game will probably come too soon for Jordan Henderson who is almost back to fitness. 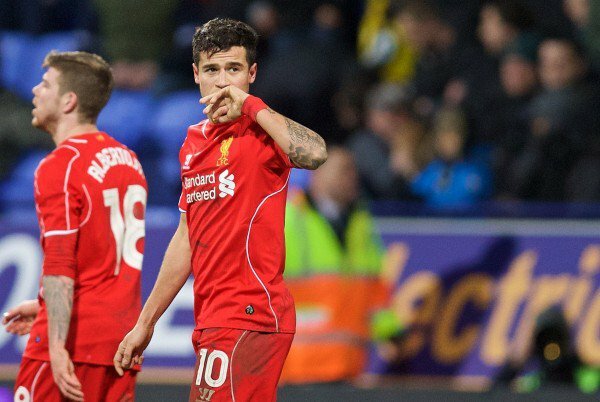 It also looks as though the knock to Philippe Coutinho will keep him out of this fixture. Mamadou Sakho may be in contention but it would be a strange decision from Jurgen Klopp to rush the defender back to action. Bordeaux have a few injuries to contend with, most players have been out long term however the likes of Maulun, Toure and Pablo look as though they will be unavailable for Thursday's match. 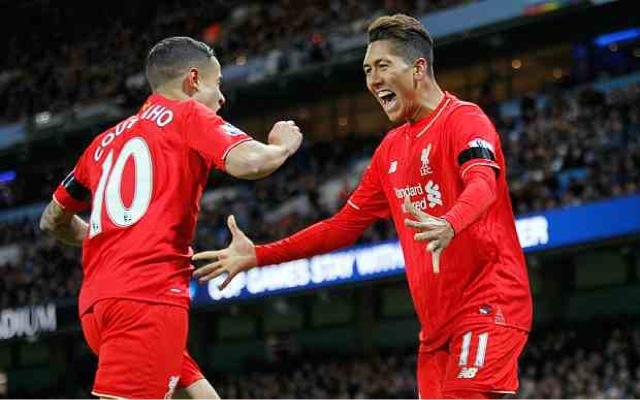 Liverpool picked up a massive result against Manchester City on Saturday evening as Klopp’s side scored four goals at the Etihad. 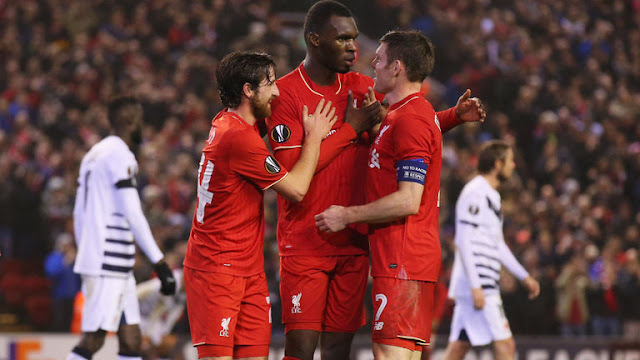 It was a superb result for the Reds who made mince meat of City’s weakened defence. Jürgen Klopp made a bold decision to select an XI without a recognised striker and I can't deny that the set up worried me initially. I guess I'm just a traditionalist at heart and I get frustrated when there's no striker on the field however, this line up worked well against Chelsea and it proved to be a stroke of genius against City too. Firstly can I just say a huge thank you to everyone who voted for The Liver Bird and got me onto the shortlist for "Best Established Blog" at this year's Football Blogging Awards. Unfortunately there was no win this year but congratulations to deserved winners; The Football Pink and Goalden Times. Despite walking away without a trophy this year I still feel like one of life's winners after meeting an absolute legend; John Barnes. He was invited to the event by Ladbrokes and I went over to get a photo with him earlier in the night, he praised my phone case which has a Liverpool emblem on it too haha. Things got even better though when we found ourselves queueing behind Digger himself for a pie at the buffet. It's here! The Football Blogging Awards 2015 will be kicking off at 7pm tonight at Hotel Football in Manchester and The Liver Bird is on the shortlist for "Best Established Blog". If you'd like to watch the awards live and keep up with the latest content on the day, simply click below and follow the footage provided by Football Fan Cast. I'll try my best to tweet during the night also, wish me luck! 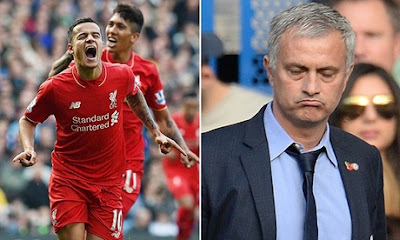 Liverpool fell to defeat at the hands of Alan Pardew’s Palace side on Sunday as the Londoners further instilled their “bogey team” status for the Reds. It was a tough game for Liverpool who showed good effort but weren't quite effective enough in front of goal. Crystal Palace got off the mark at 20 minutes when danger man Bolasie struck a left footed effort from inside the box. 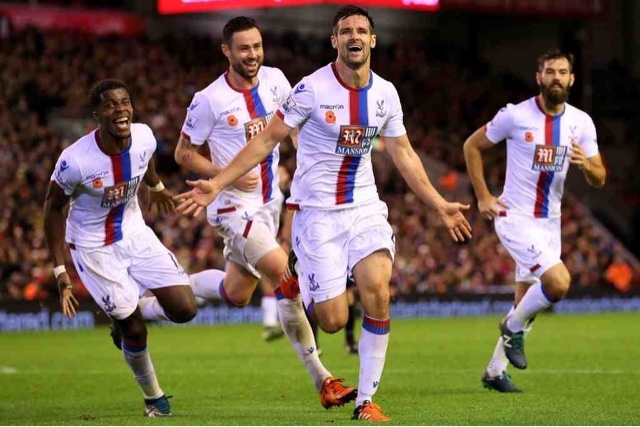 It was perhaps evident from the way Palace started that they would find the back of the net, what wasn't clear was how the Reds would respond. Half chances that followed from the likes of Coutinho and Ibe made it look as though Klopp’s side were going to spend the afternoon trying to score from questionable angles and distances. Despite having Benteke prowling around the box, he didn't appear to be getting much in the way of a supply line in my opinion and when that isn't happening, you instantly have a problem. 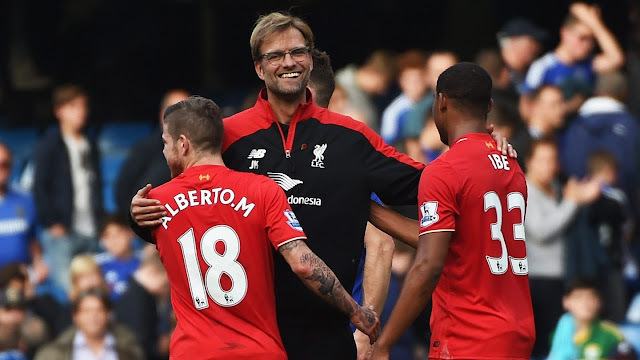 Crystal Palace visit Anfield tomorrow as Jurgen Klopp looks to continue a newly formed winning streak. The Reds beat Rubin Kazan in Russia on Thursday evening and prior to that notched up an important win at Stamford Bridge but can they get the better of Alan Pardew's side? Jordan Henderson and Daniel Sturridge are two key players for the Reds who are still unavailable, it looks as though it could be a fortnight before the pair are ready. Along with other long term injury worries, Kolo Toure has also recently joined the list with a hamstring problem. For Palace, they are without Chamakh and Appiah but it looks as though Soure may be able to make the start. Doubts hang over the fitness of Wickham and Gayle who will both be subject to late fitness tests. Liverpool picked up an important victory on the road in the Europa League on Thursday night as Jurgen Klopp's side managed to collect a 1-0 win over Rubin Kazan. 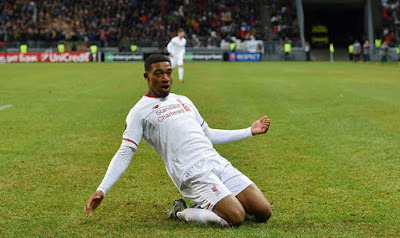 Jordon Ibe made his second start under the new manager count as he netted for the Reds after 52 minutes. It was a game where Liverpool bossed chances and possession but they couldn't quite convert all of their efforts in front of goal. 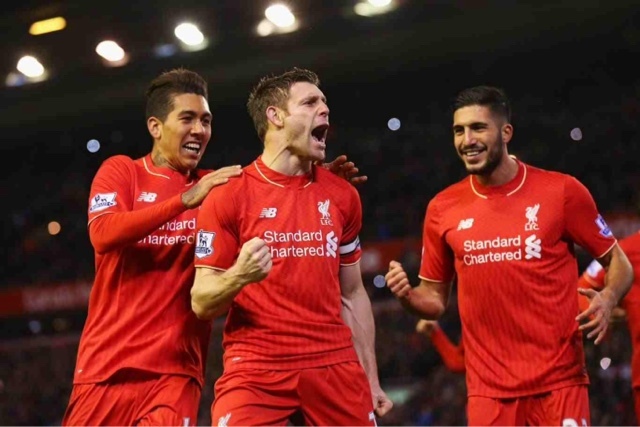 Things got off to a good start for the Reds after James Milner watched a shot smash off the crossbar. They had started with real intent and shortly afterwards a lovely cross from Clyne was heading for Benteke but Kverkvelia blocked successfully. Late in the first half it was the Russian keeper Ryzhikov who had kept his side in the game after a wonderful reaction save which prevented an own goal. I'm not sure how much he knew of the first ricochet from the double stop but it was a brilliant piece of goalkeeping. It's my birthday!!! Just thought I'd get that in there, yer know, seen as though I'm taking time out to write this match preview for you all...Haha, but seriously, Jurgen Klopp faces a difficult trip to Russia on Thursday evening as the Reds look to improve their situation in the Europa League group. Injuries for Liverpool mean they are still unable to call upon Daniel Sturridge and Jordan Henderson however it is believed the boss is going to be taking a strong squad for this match. Unavailable though is Teixeira who is ineligible as he was never named in Liverpool's Europa League squad list. It's nice to see Klopp taking this match so seriously but then I suppose he has to with the situation we are in. Maybe if Rodgers hadn't played such weakened sides we'd be far more comfortable at this stage but nevermind! So, if you didn't know, on Saturday morning I travelled all the way up to Liverpool from Wolverhampton, just so I could watch the soddin' match! Wolves were playing Birmingham and even my favourite pub in town wasn't going to be showing the Liverpool match so I ditched my home town and travelled north. Whilst I'm so glad I acted upon my sometimes questionable impulse, I also ended up regretting it somewhat because going all that way but not really being able to celebrate a 3-1 win over Chelsea with anyone you know... Bit naff! Haha. 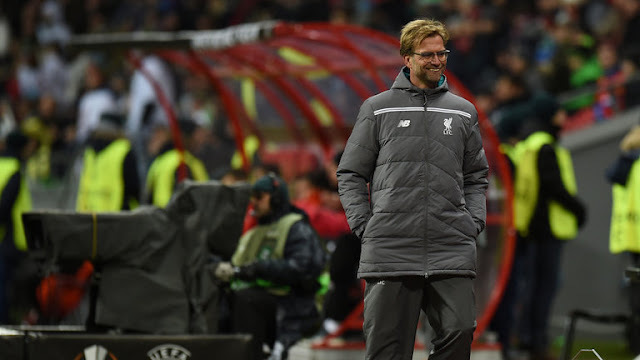 Jurgen Klopp started the game without a recognised striker as Roberto Firmino had to take up the position. It wasn't that surprising that Christian Benteke was left on the bench but it definitely felt like we were going to need him.